The sherway dentistry team of caring, compassionate professionals is committed to providing quality care to patients of all ages throughout the Etobicoke and Mississauga area and beyond. You and your family deserve to enjoy optimal oral health and dazzling smiles, without stress or inconvenience. We have a denturist, orthodontist, and periodontist on staff, allowing us to deliver comprehensive care in one convenient location. We welcome kids, and we treat everyone with kindness, respect, and gentle techniques. Our office is comfortable, inviting, and equipped with the latest technology – and it is open evenings and weekends, to ensure that your fabulous smile fits into your busy lifestyle. Our goal here at sherway dentistry is helping you maintain optimum oral health. Our team provides the care, information, and advice necessary for you to make wise decisions regarding your family’s oral health. Our patients are encouraged to contact us with any questions regarding oral health or the appearance of their smiles. The early years – We are always happy to welcome new little smiles to the sherway dentistry family. We work with parents and kids, providing support, advice, and education along with gentle dental care. By developing a healthy relationship with our littlest patients, we help them develop a healthy attitude about oral care that can lay the foundation for a lifetime of smiles! All grown up – In early adulthood, dental care focuses on preventive treatments and, often, cosmetic improvements. Good oral health habits and a good relationship with your dentist are the keys to maintaining strong, healthy teeth. Maturing smiles – As time passes, oral health problems become more common, due to wear and tear, previous injury, and the inevitable effects of aging. At sherway dentistry, we offer smile makeovers, dentures, full dental implant services, gum therapy, infection control, restorative dentistry, and much more. It’s never too late for your dream smile to come true. Not even the loss of your natural teeth can keep you from having a great smile. Special considerations – As you may be aware, your oral health has an impact on your overall health. The reverse is also true. Health conditions that impair immunity or cause chronic inflammation, such as diabetes, can have an adverse effect on oral health. A customized preventive care plan, possibly including more frequent cleaning and checkups, may be needed. In addition, some medical conditions, such as impaired vision, arthritis, and hand or arm injuries can make basic oral hygiene challenging. We can recommend appropriate hygiene products and techniques as well as providing individualized dental care to help you avoid or overcome oral health problems. Choosing a family dentist has the added benefits of convenience, and customized care. We have the opportunity to observe potential genetic factors of oral health, and understand lifestyle-specific considerations. 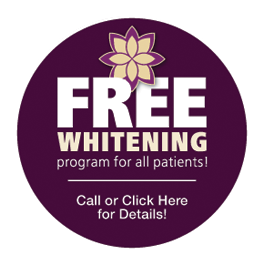 Please call our office at 416.639.2546 and schedule an appointment to learn more about how we can make you smile.